This Raleigh based artist does pseudo-realistic paintings in watercolor. While they appear realistic, a closer look reveals how the artist incorporates a variety of techniques including salt, scratching, splashing, pouring and repel to create the finished affect. She also works in other media including acrylics, printmaking, pencil, and other drawing media. The artist works primarily from life, original sketches, and her imagination, using photographs only as reference. Suzanne Hetzel was born in Bryn Mawr, Pennsylvania, and has lived and painted throughout the United States, moving 17 times. The opportunity to travel has allowed Suzanne to experience a broad variety of environments and people that have been a source of great inspiration. Suzanne began painting at the age of 8. She first tried watercolor under the tutelage of her grandmother, Dorothea Mendte Taylor. Her early studies included work at the Wallingford Art Center in Pennsylvania under the direction of Cyril Gardner. She later graduated from Moore College of Art and Design where she was privileged to study with Georg Sklar, Charles Fahlen, Edward Shenton, Janette Banks, and Robert Koffler. In addition to her fine arts endeavors, Suzanne has worked as a commercial artist, written and illustrated a children’s book entitled Nony the Pirate, designed textiles for R.A. Briggs, and taught various commercial design courses at College of DuPage, Glen Ellyn, Illinois. She currently teaches watercolor, drawing, and studio classes. She is frequently called upon to give demonstrations and workshops. Suzanne has paintings and drawings in collections throughout the United States and Great Britain. She has works in the Episcopal Diocese of Philadelphia, and several public libraries. Her work has been published in two Splash volumes (F&W Publications), and three Richeson 75 volumes. In addition she has designed and executed murals for a variety of public facilities and private residences. She is a signature member of the Transparent Watercolor Society of America, Pennsylvania Watercolor Society, Louisiana Watercolor Society, and Illinois Watercolor Society. 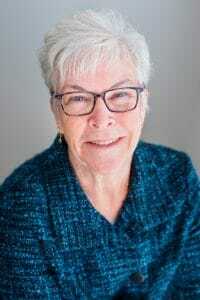 Suzanne is Past President of The Transparent Watercolor Society of America, Past President and Founder of the Kendall Arts Guild, Kendall County, Illinois, and Founder and Honorary Lifetime member of the Antioch Fine Arts Foundation, Antioch, Illinois. I, as an artist, cannot be defined by media or a subject. My inspiration and form of expression must change to keep growing creatively. While most artists strive for a consistent and similar body of work, I find that concept contrary to the creative process. I rely on my individual style and techniques to bring unity to my pieces. When driven by a subject matter or idea, I may see it opaque, transparent, realistic, abstract or non-representational. My most rewarding works are those where I am personally invested in that which first caught my attention. It is a visceral reaction, which I elaborate upon united with my life experiences: a bowl of strawberries becomes a reflection of my childhood, a walk through a lingerie department causes me to reflect and paint what I imagine various famous women might choose for undergarments, an observation of a leather jacket at a flea market becomes an act of preservation of an era in America, a walk across a European bridge inspires the recognition of historic and complex cultures, a stand of flowers inspires me to reflect on my spiritual beliefs. Every piece I create is personal. It is not enough to record a subject two-dimensionally. I must validate the subject by incorporating myself within the work through a selection of medium and all the skills I have developed. I am bringing my point of view and my unique observation of the world to others, the viewers. Additionally, my recent works demonstrate a serious attention to color and patterns created by common objects, and how they integrate and interact with their surroundings and each other. I observe and interpret patterns repeated in nature and man-made objects. This stimulates my desire to continue my vision in my works.